Four days from today is Christmas, a day when we celebrate the birth of Jesus Christ. As with all festivals, we celebrate the occasion with a lot of fervour, enthusiasm and alcohol in India.The colourful lights, music of the soothing Christmas carols adding on to the mirth and festivity of this joyous occasion. Christmas Eve: The office ended and the bars opened half a day earlier than usual. With office anyway functioning at quarter strength, only some people who had bid items on ebay could get some useful work done during the morning hours. The bars witnessed animated discussions as it was full of married men, most of whom had curiously forgotten to inform their wives that it was a half day at office. By 6 pm it was time for them to head back home but not before they came up with a good reason that could be attributable for their drunken shapes. As uniformity in the version of stories is supremely important in such matters of connivance, most agreed that they would say that it was the birthday party of a dear friend and inspite of their unwillingness to go were dragged into the same and made to drink.If we left the unwillingness bit, this story was completely true if they actually added one small insignificant detail that this dear friend of theirs was actually born around two thousand and five years back. At the Stroke of Christmas: Four of us bachelors, two of whom unfortunately no longer share the same marital status, decided to bring in the Christmas in style and thought of hitting the discotheque at the stroke of midnight where surely blondes would get drunk and behave as drunk blondes are expected to. Two such heavily built mean looking creatures guarded the entrance of the disco, that we were almost discouraged in our plans but we took the chance anyway. These descendants of Goliath are very aptly called Bouncers for if you were to ever fall in their bad books, they could, easily making pulp of all your bones, turn you into a rubbery substance which when kicked once, would continue bouncing till eternity. Usually free on other nights, there was a cover charge of £10 in the disco that night which we willingly paid. More than the enthusiasm to enjoy the disco, the fear of being beaten up by the two men contributing to our quick parting with the money. As we climbed the stairs, we were all spiked with the anticipation of the thrill awaiting us as the vision of drunk blondes started floating once again and we winked at each other. This is going to be a night to remember. We rushed and pushed open the gates and sounds of some heavy music greeted us as we entered the huge disco. Bring it on England we cheered !!! The music stopped and expressions altered. We looked around ourselves and realised that apart from three middle-aged male bar-tenders , we were the only ones inside the discotheque !!! Our first reaction was that this was the way they greeted all new entrants and then the whole crowd would now descend upon us from all directions pushing and shoving us into the grind of the dance floor where we would then dance our hearts out. Such hopes were to remain confined to our imaginations, for even half and hour later, there were just two new joinees and both belonging to a gender that did not interest us. The invisible DJ played out some unbearably loud and crass music and the dance floor remained virgin on that night. At the stroke of midnight, we wished Jesus a very happy birthday and left the disco with heavy hearts and lighter wallets. A night to remember it indeed was. An old Hindi saying which comes as a four letter acronym starting with 'K' that describes the treachery to an upright object would have aptly described the situation here. OK, so it did not turn out the way we wanted it to. So what? It was Christmas the next day. Hurrah. We would have a blast and compensate for all that we missed at the discotheque. With such optimism in mind and beer in stomach, we slept off. Christmas : Woke up early the next day for I was really enthusiastic to see how a Christmas day would be like in this country. 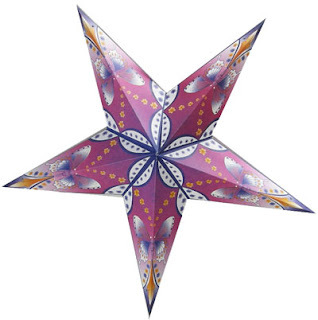 Strangely I had not seen any of those colourful paper stars hanging outside the houses here and wondered if that was something typical to our Indian way of celebrating Christmas I ventured into the streets and my first reaction left me speechless. Ah no it was not the scale of the festivity which induced this reaction. It was the fact that I was the ONLY LIVING SOUL standing there with no sign of any other life in my vicinity. For a brief moment I felt like Tom Cruise in the War of the Worlds. But soon I saw myself on a shop window and the moment vanished. Damn the law of reflection. Questions were whizzing around in my mind. Had the aliens finally struck and annihilated all life ? Was I the only man alive and if yes then had they spared Heidi Klum too , or Jessica Alba, okay Scarllet Johannson then? I saw my reflection again, bringing sanity back to such chain of thoughts. But truly I was at my wits end (which is fairly easy to reach anyway) trying to find an explanation to this extreme oddity of complete lifelessness on Christmas day. Priyanka Chopra maybe ? The shops were all closed which was kind of okay as people would want to take a break for the occasion. But the fact that there was absolutely no vehicular traffic at all was what contributed to the eerie chillness in the whole environment. I roamed around the town centre in search of some semblance of humanity but there was none to be found. Completely baffled I made my way back to the house half hoping actually half wishing to find my roommates sucked away by some alien spaceship. But that joy, I was to be deprived of. I came to know that all public transportation remains closed on Christmas day and being a day of family get-togethers most preferred to stay indoors which explained the lack of cars in the roads. But this was crazy !! It was Christmas day and in the absence of a car, here we were stuck inside the house with no laptops, no stock of beer, one DVD of Gadar and a DVD player with a lost remote which meant that one could only watch Disc 1 where the focus defaulted when you turned it on. Awesome !! And if you are wondering why didn't we try out TV then you should actually watch the programmes dished out on the 4 free to view channels. Butchering you with boredom is an art they pride themselves with. Thus I spent my first Christmas in the UK. Boxing Day : I am kind of quite hungry now so will quickly wrap this up. It snowed on Boxing Day and we clicked pictures like madmen. Tried to make snowmen but the snow wasn't that thick and mostly we ended up with distorted snowfrogs. Tomatoes and carrots which we had brought out to make the eyes and noses of snowmen with, went back into the refrigerator. Trains were back on so we thought of making the shopping trip to Blue Waters which we had heard was the largest shopping mall of UK and Boxing Day was supposed to the day of heavy discounts much like Thanksgiving in the US. This surely could not go wrong. Took us four trains and two hours to reach. Our combined shopping at the end of the day was a 30ml bottle of perfume as nothing else was affordable. Nearly froze to death on our way back as the snow started melting sucking away all the heat from the atmosphere. Cursed the country for no fault of hers. Four trains later we were back home, with each of us swearing upon each other that this would be the last Christmas that we would be spending in this country. Next week, it would incidentally be my fourth consecutive Christmas in this country. But thankfully the first year had taught me my lessons well and I have stayed better prepared for the holidays since. Wishing all of you a very Merry Christmas and a very Happy New Year ahead. C'mon 2009 lets see what you got in store !!
" Nearly froze to death on our way back as the snow started melting sucking away all the heat from the atmosphere "
proves you indeed studied thermodynamics very well. @Anonymous - Thanks for the wishes and a very curious choice of line to comment upon. And Right on ...Heat and its flow has always been my favourite subject.